The AA and AAA are some of the most commonplace battery varieties known to almost everyone. If at all you have ever used dry cells in any electronic devices, there are high chances that you have used one or both of the two. It is worth noting that there are plenty of other batteries out there, one of them being the 18650 battery. 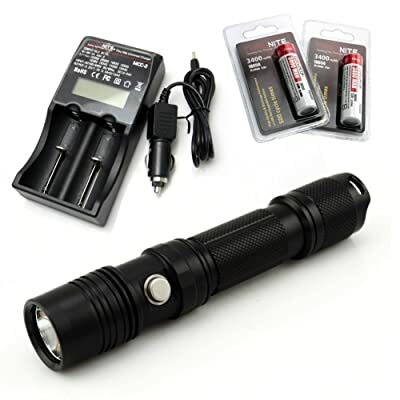 The 18650 battery is a lithium ion kind, mainly commended for its recharge ability as well as the fact that it offers plenty of flashlight-operating power. The 18650 flashlight give the advantage of offering you the ability to recharge your lighting accessory. But does it mean that you should just walk into any flashlight store and pick any 18650 flashlights you come across? This article is meant to enable you to pick only best 18650 flashlights within your range. Recharge-ability: The 18650 battery, rather than a single use product, is a Li-Ion rechargeable battery. This allows you to easily charge them while you are on the move. As a result, your risks of being in a desperate situation have highly been reduced. Power: The 18650 batteries are about 3 to 4 times as powerful as the AA batteries. The resultant is a three times amount of watt-hour production, for the same capacity offered by the AA. Versatility: The 18650 batteries are of the same lengths as 2 x CR123A batteries. This makes it easily to interchange between the two battery types. Portability: The 18650 series are characterized by an impressive size to capacity ratio, as well as high capacity and high discharge rates thus their superiority to similar sized batteries. For a reliable, compact, single-handed operation, everyday-carry flashlight, the Thrunite TN12 is your destination. This product features an improved UI, hence more lumens are allowed. With a Cree XM-L2 LED having a 50,000 hours lifespan, the model uses not only the single 18650 battery operation but can also use the CR123A batteries. To enhance user comfort, the TN12 comes with both the side switch as well as a tail switch used to switch between models. A perfect beam of light, credits to the anti-reflective glass coatings together with the smooth reflector factored in the design. Although the lack of tactical mode options that come with other models isn’t a deal-breaker, it is something worth being pointed out. All in all, the product offers its users easy operation, an extended battery life (firefly & low modes), durable design and above all, a bright light output. This is what those looking for ultra-bright flashlights that are durable and come with long-lasting bulbs should go for. 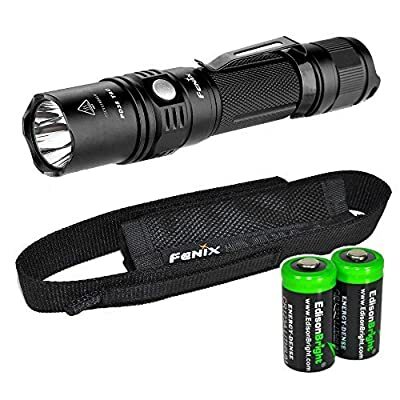 The Fenix PD35 is a very portable as well as super-powerful flashlight coming with five different brightness levels as well as a strobe mode. Level 4&5 are so bright that they really throw the beams to very long, long distances. Most of those who have owned this flashlight along others from different companies have come to the conclusion that it is the best police flashlight on the market. The flashlight can really become too hot thus you may need to look elsewhere if you are planning to use the flashlight for lengthy periods. This is an obvious limitation with most powerful flashlights as this one is. Fenix TD35 is, however, a very great option for tactical and outdoor use. It is easy to use, very durable and brags around of its exceptionally bright beam. This is the real “King of Flood.” The product has been engineered with three CREE XM-L U2 LEDs that result in the production of 3000 lumens. Did I mention 3000 lumens? Yes! And in addition, a 400-yard beam distance is ultimately also produced. Illumination levels range between 1 and 3000 lumens and the flashlight comes with six easy to control modes, the strobe mode inclusive. It is now obvious that the “king of the Flood” statement isn’t an overstatement. This is because the Power Tac X3000 has all you need in a search light and also has all that can be found in a flashlight. 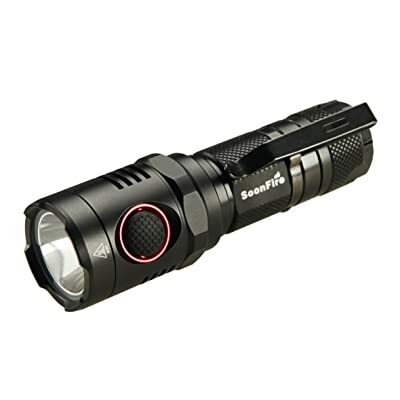 This Soonfire flashlight is the smallest and lightest, hence most portable USB 18650 flashlights. The compact flashlight is capable of delivering 6 different output modes, with the mode strengthening with fast and simplified operations. It produces a maximum beam distance of 232 meters and a maximum luminous flux of 13500cd. 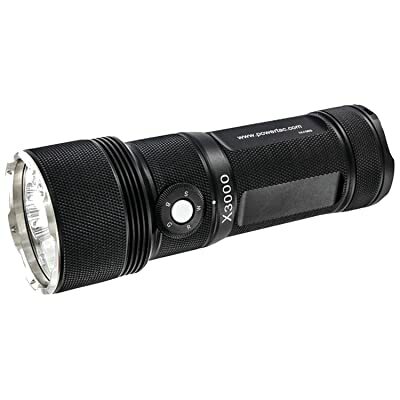 This makes it one of the best 18650 flashlights on the market. It features a monitor working temperature control system, a precise temp control feature, brightness adjustment and a friendly battery indicator for versatility and awareness. It is very reliable. This can be credited to the fact that it can directly be recharged by USB cables, car adapter or USB-to-wall. The flashlight is one of the best 18650 flashlights for a budget buyer. It is relatively durable, especially when you make good use of its different control features. However, other products on the market are far much durable than it is. This is another very decent quality 18650 flashlight that is offered to the market at an incredibly great market price. Its main selling feature is its high mode that makes the flashlight to operate at 100%. The Nitecore MT26 also comes with four customizable modes, all of which are accessed by a simple twist of the flashlight’s head. When running under lower light intensity levels, the MT26 flashlight runs relatively longer as compared to other budget flashlights. May not hold the 800 lumens high brightness for long and may randomly start changing modes after some time. The MT26 flashlight is one of the best 18650 flashlights for the beginners. The quality of machining is impeccable, the operation incredible and the light or rather brightness feel is great. 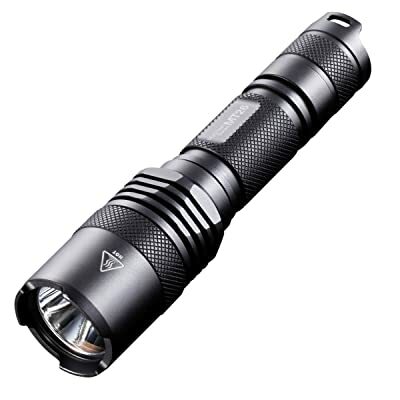 If you are really in need of an 18650 flashlight but your budget is a bit tight, go for the Nitecore MT26 flashlight. A good number of flashlights do list the run time. A flashlight’s runtime refers to the duration the flashlight takes before dropping to 10% of its output rating. Each light mode will have its own rating with the brightest mode consuming more power. You really want to consider the longest possible run time of a flashlight. There are typically three main flashlight beams namely: the spot, the flood and ultimately the adjustable. Flood beams are only ideal for simple tasks as they only feature a single beam width. The spotlights feature a single condensed beam thus enabling it to travel long distances. Adjustable beams enable you to adjust between the flood and spot beams. Ideally, the last two are the best, though if you are just looking for a flashlight to use for camping or walking, the floodlight will suffice. This is a term used to refer to the measure of light output, referring to the light intensity on the flashlight’s highest brightness setting when the batteries are new. Lumens range between 20 and 3500. The least is just enough for one to read a book, while the 3500 lumens being enough to make you blind. Choose according to your needs. If you want to confuse intruders, probably you need the 3000 lumens and above. This refers to the distance the light beam can go before the brightness diminishes. The beam distance varies depending on the mode of brightness. Try to ensure that at least one of the mode settings produces a Meters throw that suffices your needs. Let it be a durable rugged construction featuring some of the durable, quality construction materials. If you intent to own a flashlight for outdoor use, it is prudent that the accessory comes with the water resistance features. Some models will allow for temporary 30-minute water resistance whereas other allows for complete 4-hour submersion. Which one do you need? There are numerous flashlight bulbs out there with the most common being the incandescent bulbs and the LEDs. The latter have a longer lifespan than the former hence should be preferred. There are so many models and brands of 18650 flashlights, something that makes it a bit challenging for one to choose the best. Your choice will be governed mainly by your needs, how much you are willing to spend and product durability. On our list, PowerTac X3000 is the best 18650 flashlight. This is because other than the downside of being a bit too expensive, the flashlight comes with everything that can be sought for in a flashlight. These include the durability, maximum possible light intensity and the portability feature. In overall, no sense of buying what you won’t use. Therefore, do proper research, and choose wisely.